Roughly 60% of global primary energy consumption is lost as waste heat. This represents a huge energy recovery potential: Transforming waste heat into useful energy could contribute to a smaller carbon footprint – and at the same time reduce the cost of useful energy. 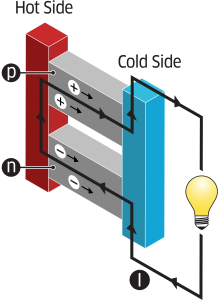 Thermoelectric materials are a class of advanced materials producing electricity directly from heat. TEGMA develops systems for thermoelectric applications. Thermoelectric power generation requires high efficiency thermoelectric materials, a reliable technology for integration of these into thermoelectric modules, and a system that interface with the heat source. 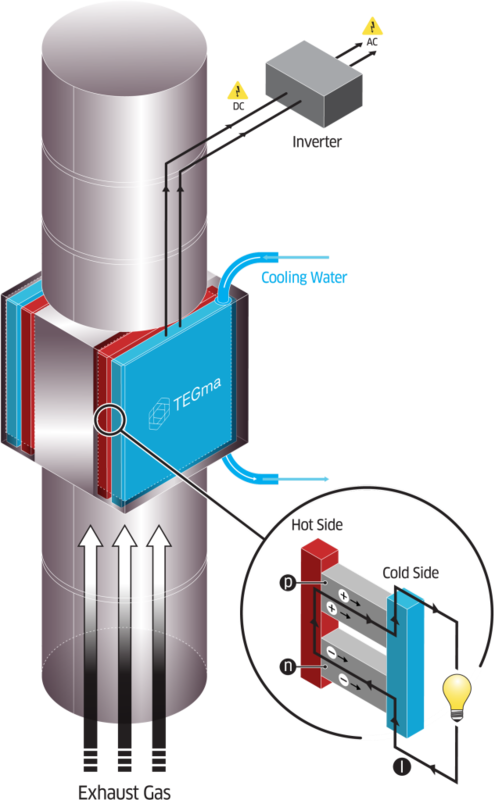 Tegma provides turn-key thermoelectric systems where all these aspects are incorporated. 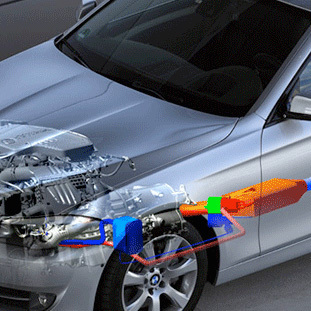 A TEG system can reduce the CO2 emission of a car by 3 – 6 %. TEGma is developing thermoelectric solutions suitable for integration in the exhaust systems of both personal cars and trucks. 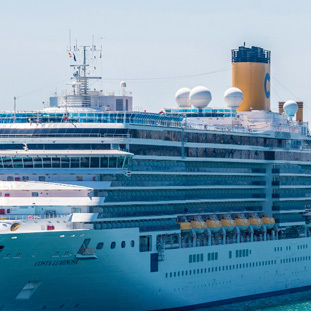 A medium sized TEG system can reduce the fuel consumption from a ship substantially. TEGma has verified its patented TEG system technology through several pilot systems installed in ships in operation. Massive amounts of energy are lost as waste heat through e.g. hot reactor walls, off-gases and cooling water. The utilization of TEG technology to recover some of this energy will have a great impact on the total energy efficiency. 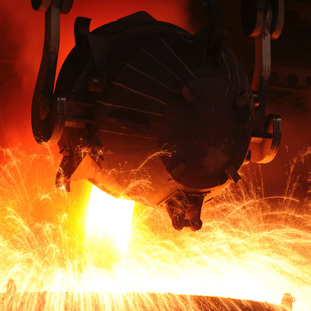 TEGma is currently developing and testing TEG systems with partners to recover waste heat from the process industry. A small TEG system can solely power an autonomous wireless sensor network, e.g. 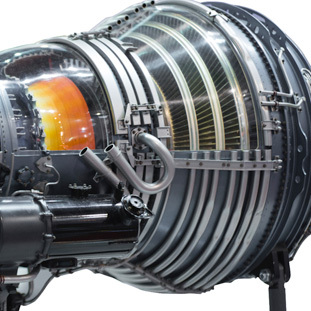 a wireless engine monitoring system on a jet engine. TEGma is in the process of developing a unique TEG system which can act as a “battery” for wireless sensor networks. TEGma is established in a market characterized by a strong need for waste heat recovery solutions. TEGma has completed several pilot installations of TEG systems in industrial environments and is currently commercializing its products to meet the market needs. Cooperation with leading research institutes and universities provides access to relevant competence and technology. Joint development with customers and suppliers ensures processes and systems suitable for large-scale industrialization, and applications that address key customer needs. Thermoelectric modules are solid-state devices with many similarities with photovoltaic solar technology, both on the process and product side. TEGma is thus benefiting from the extensive photovoltaic experience and know-how in the Scatec group, the owner of TEGma. Scatec is Alf Bjørseth’s company for developing new business ideas within the areas of renewable energy and environmentally friendly advanced materials. John Andersen Jr. is the CEO of Scatec AS and the Chairman of the Board in TEGma AS. He is the former Chief Operating Officer of the REC Group, where he held several top management positions during his 12 years with the company. Prior to REC, he worked in Borregaard Industrier. Mr. Andersen holds a Master of Business and Economics from BI Norwegian Business School in Oslo, Norway. Dr. Ole Grimsrud is the CEO of TEGma AS. With a PhD in physics from Cornell University, USA, and background as a management consultant at McKinsey & Company, Ole Grimsrud has worked in the cleantech sector for more than 15 years. He has worked for Renewable Energy Corporation as well as Scatec AS, where he has been closely involved with several of Scatec’s portfolio companies. Dr. Torleif A. Tollefsen is the Chief Technology officer of TEGma AS. He holds a PhD in Materials Physics from the University of Southeast Norway (USN) and is currently finishing an M.M. at BI Norwegian Business School. Dr. Tollefsen has extensive experience within R&D, technology and product development. He has previously worked at FMC Technologies, SINTEF Digital, UiA and as CPO at Norwegian Well. Per-Kristian Pedersenis a Senior Project Engineer in TEGma AS. He holds a M.Sc. from the Technical University of Trondheim (NTNU) in Mechanical Engineering. Mr. Pedersen has long experience within project management and offshore installations. He has previously worked at Dolphin Drilling.